San Francisco International Airport is offering an outstanding career opportunity to join this award winning and progressive organization as Aviation and Parking Management Director. Under direction of the Chief Business and Finance Officer, the Aviation & Parking Management Director is responsible for the management and oversight of a property portfolio consisting of approximately 150 tenants, including airlines, aviation support companies, and government agencies. 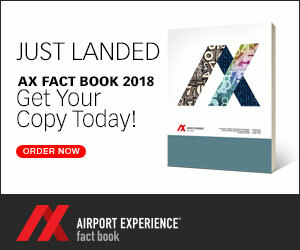 This position will also manage a staff of approximately 19; participate in negotiations for a new lease and use agreement between the Airport and the airlines; and develop planning strategies to address various space allocation needs during the Airport’s Ascent Program and Airport Development Plan implementation. Requires a Bachelor’s degree and 6 years of experience in airline operations management or airline property management, in a supervisory capacity, including 4 years of experience in negotiating and managing aviation related contracts. Possession of a Master’s degree from an accredited college or university in Business Administration may be substituted for up to one year of the required experience. The annual salary range for the Aviation and Parking Management Director is $149,916 to $191,308. Interested candidates should apply by submitting a compelling cover letter, comprehensive resume, and 5 professional references via email to [email protected] no later than Monday, February 18, 2019. Confidential inquiries welcomed to Heather Renschler at (916) 630-4900. Full brochure available at www.ralphandersen.com/jobs/aviation-parking-mgmt-dir-sfo/.